One of the most enduring aspects of craft beer's rise in popularity has been the growth in appreciation for the style of India Pale Ale. Known as IPAs, the hoppy beer has been a hit with enthusiasts across the country. Saint Arnold Brewing Company, Houston's oldest craft brewer, is no stranger to IPAs. Its Elissa IPA and Endeavor double IPA are staples of its year-round offerings, but the brewery detected a thirst for even more hoppy deliciousness. On Thursday, the company released a third year-round IPA to help quench that demand. 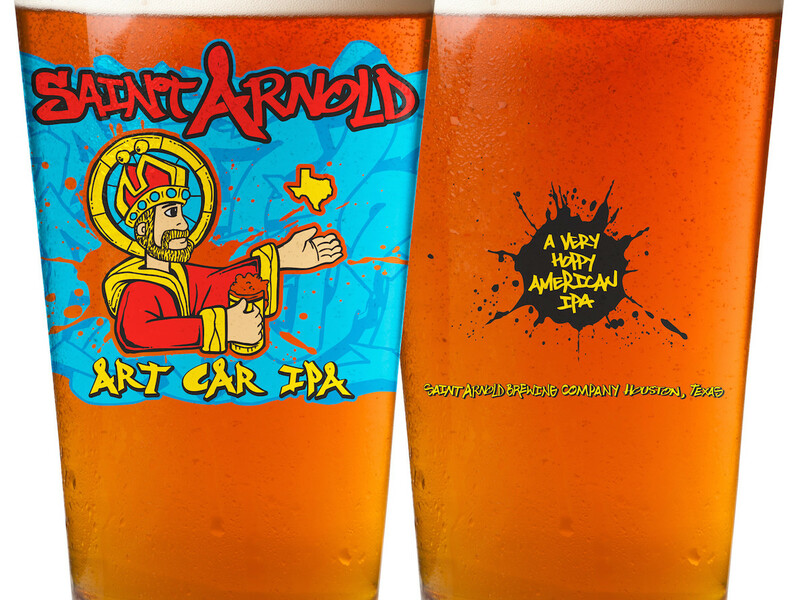 Known as Art Car IPA, the beer celebrates Saint Arnold's fleet of art cars and Houston's status as the home of the oldest and longest art car parade in the world. Stylistically, it sets itself apart from both Elissa and Endeavor. It's the first addition to Saint Arnold's year-round offerings since Boiler Room in March 2014. "Art Car IPA is a great complement to our current IPAs, with more fruit and citrus in the nose and a lighter malt backbone that allows the hops to really shine," says Saint Arnold founder/brewer Brock Wagner in a statement. "But this is not a one-dimensional IPA — there is a nice complexity to the flavors. The taste starts with a big, bitter blood orange that morphs into mangos and sweet tropical fruits." The new beer will soon be available on draft throughout Houston, but we in Dallas-Fort Worth have to wait until October for its canned form.